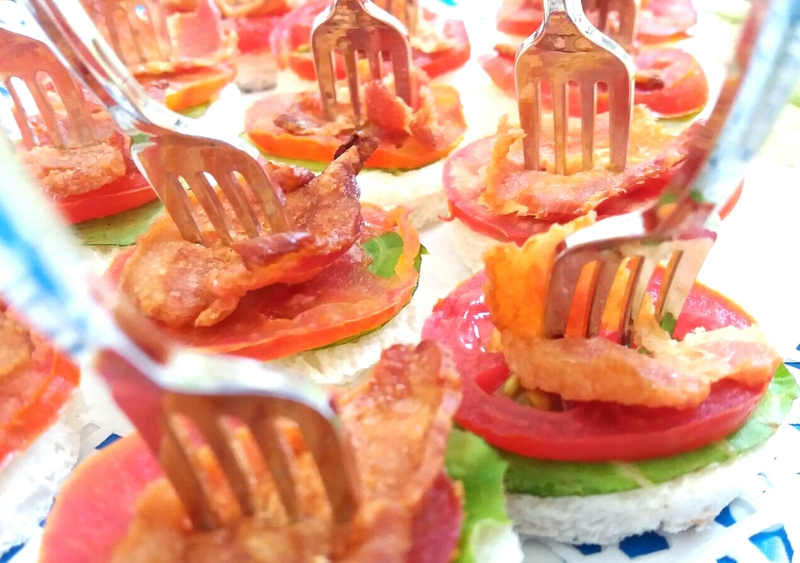 Today I bring you a recipe concocted by my sister and named by me: Open faced, BLT sliders. :) My sister made them for an event and she said she got her inspiration the same place we all do…Pinterest. The BLT: Bacon, Lettuce and Tomato is a quintessential sandwich combo. No breakfast cafe or bar worth it’s salt doesn’t have this item or some modern variation of it on their menu. 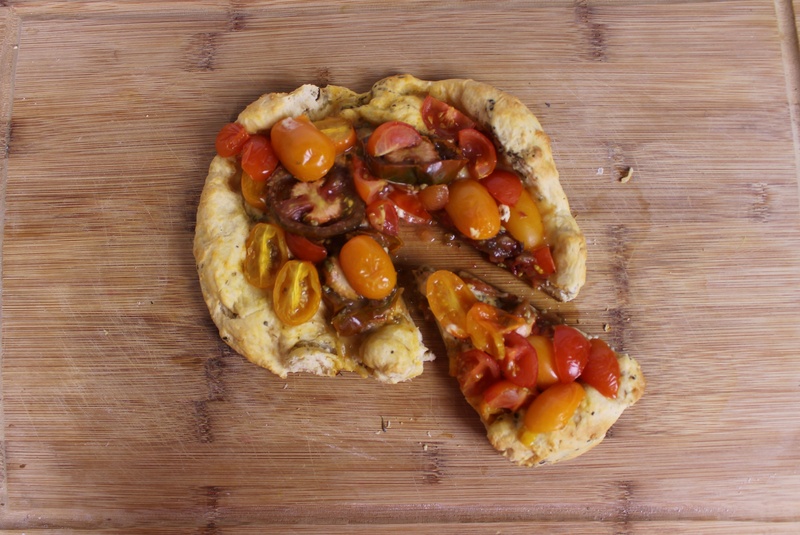 Something about bacon and tomato works beautifully together. The lettuce adds a fresh crunch and the bread a good solid background to the real flavours: the bacon’s salty, juicy fatty fatness and the tartness from the tomato. 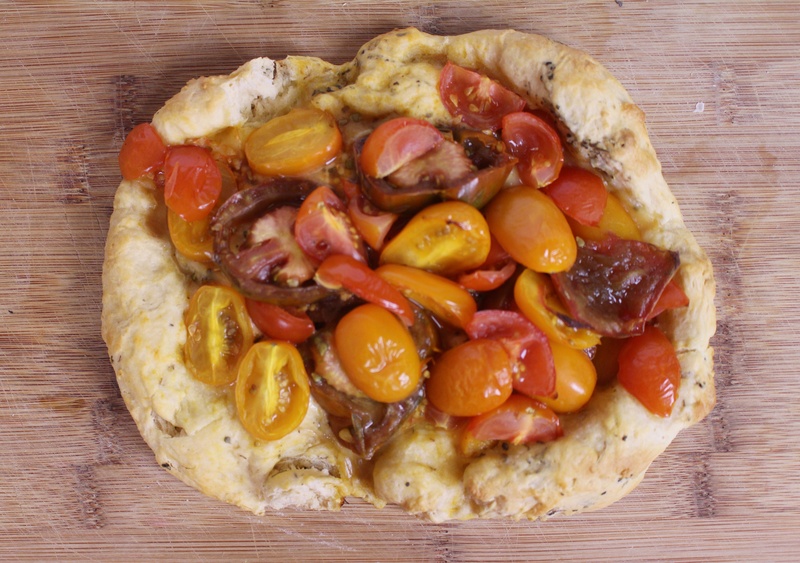 This is another one of those appetizers that are so easy to make it almost seems wrong. 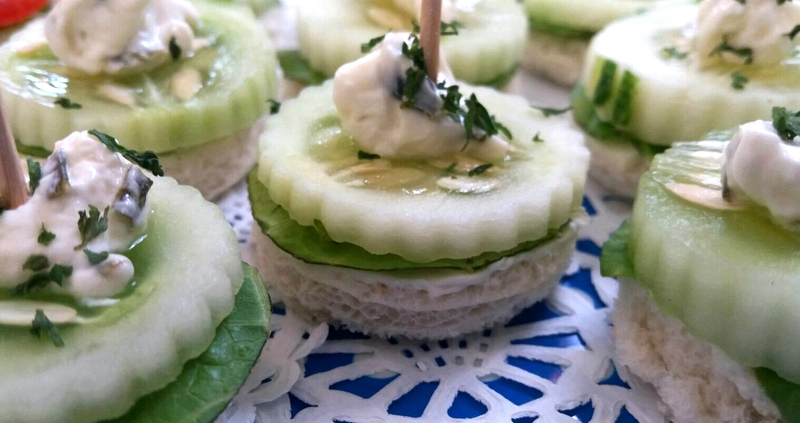 My sister also made some open faced cucumber sandwiches and I will share that recipe as well. 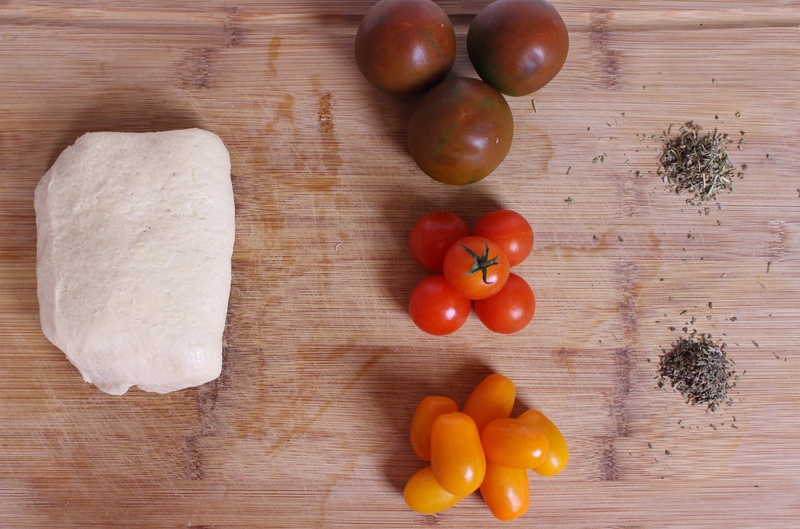 2) Tomatoes- you will need 1 slice per slider so the number you need depends on the amount you plan to make. 3) Bacon – She only used a small piece (about 1/3 the length of a full strip) on each so again it depends on the number you plan to make. 1) Cut circles out of your bread slices and lettuce. 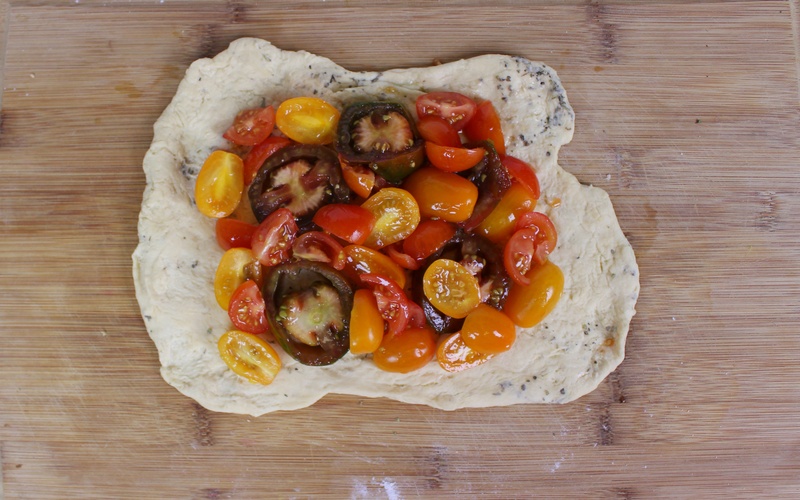 2) Slice tomato into medium thickness slices -you want it thick enough to be substantial but not so thick it overpowers the entire thing. Sidenote– I actually do NOT like bacon! :0! I can envision people coming after me with pitchforks for uttering those words. That being said as a self proclaimed foodie I can fully appreciate the value of bacon to many recipes, I will gladly eat bacon and maple flavored cupcake/ice cream. So there! 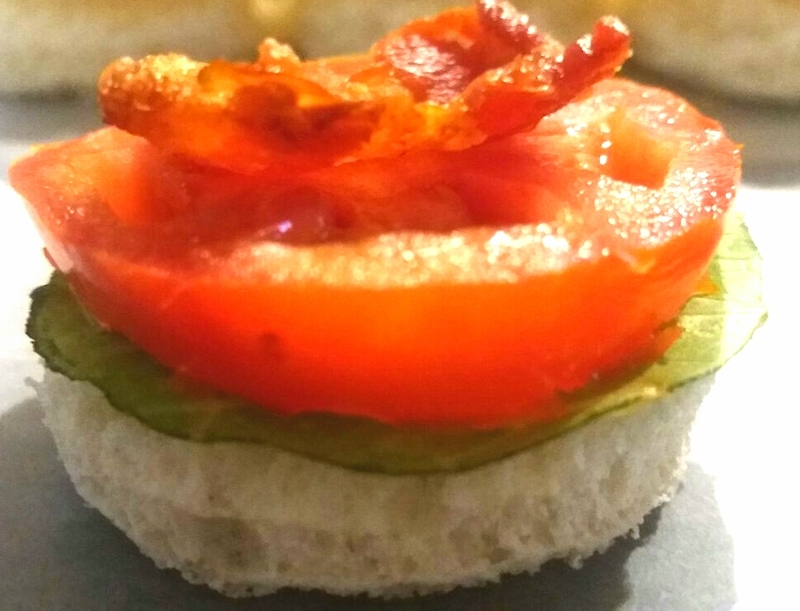 4) Assemble your slider: bread, lettuce, tomato then bacon. 5) Place toothpick or fork into the centre and serve! 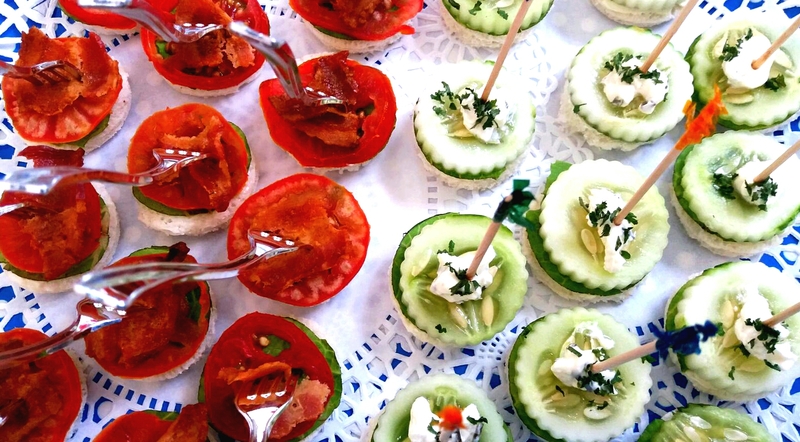 Anyhow, my sister cleverly assembled these refreshing little appetizers to go along with the BLT sliders. 1) Cut the bread slices and lettuce into circles. 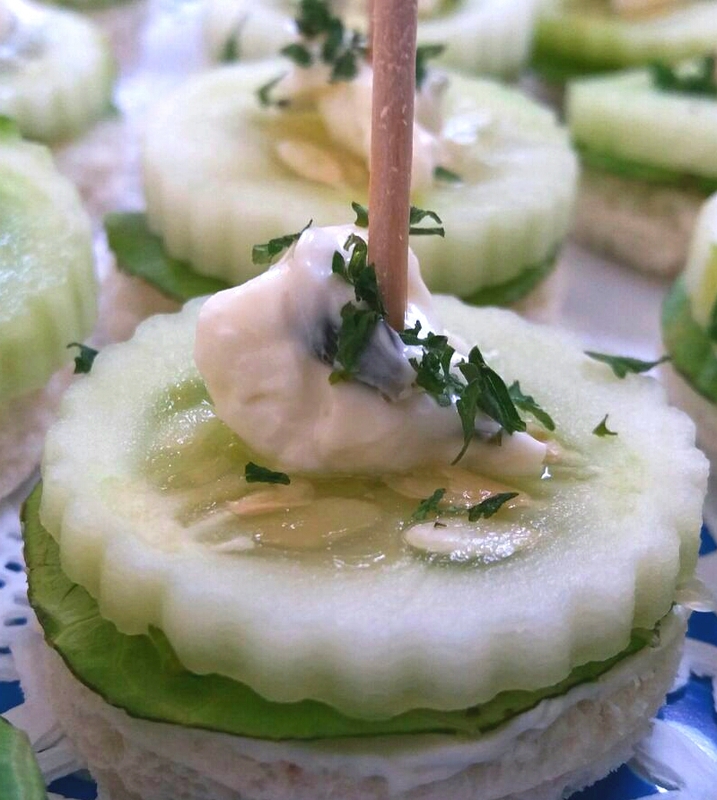 2) Remove the skin from the cucumber and slide a fork along the entire cucumber creating ridges. 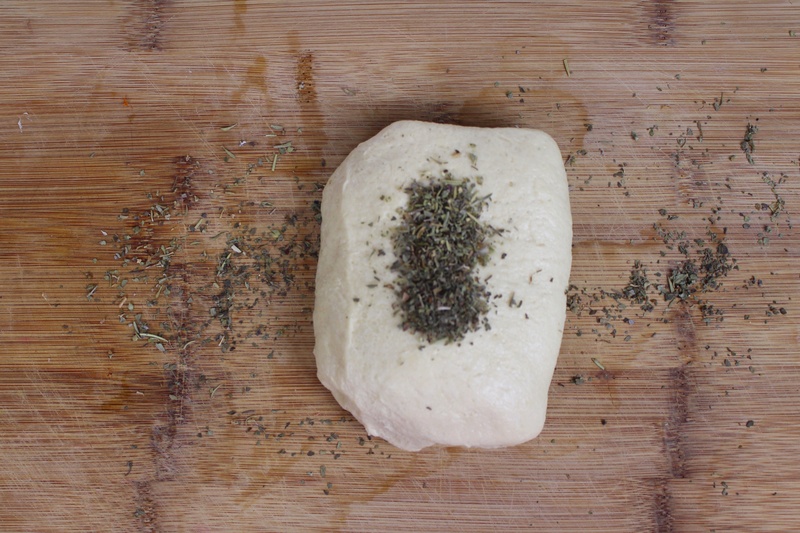 4) Spread a bit of the chive dip over the bread. 5) Layer the lettuce and cucumber. 6) Add a small dollop of the chive dip on top and sprinkle on some parsley flakes. 7) Add the toothpicks or forks, plate and serve. Both recipes are straight forward, use simple affordable ingredients and create positively moreishly delectable treats. Hello all, I decided to eat the trend and jump on the avocado toast bandwagon. 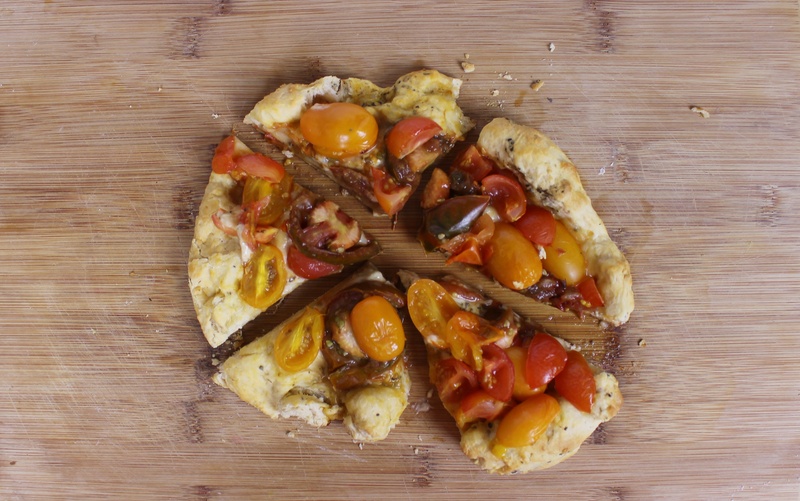 I gave it a little pizzazz by adding hummus and layering tomato on top. 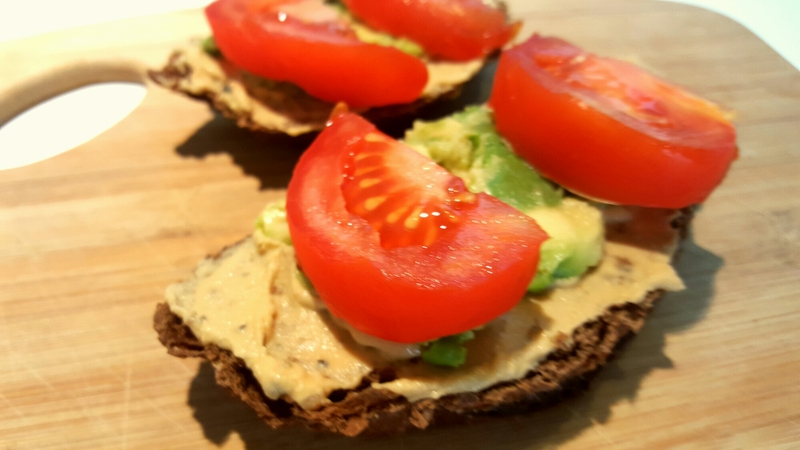 I’m going to share this super easy recipe for a healthy DIY breakfast alternative to some over processed cafe sandwich. So avocado is real darn trendy these days, as trendy as kale in 2013 and as trendy as coconut oil in 2015. As with everything trendy there is a certain amount of hate associated and I get it. Once a popular social media outlet gets wind of something cool it gets big then all of a sudden there are entire pinterest boards and Tumblr threads dedicated to that thing. And it can feel annoying, like no one was interested in avocado in 2012 but it’s been around the whole time, right? Well the only thing trendier(is that a real word?) than avocado itself is confounded avocado toast! It is everywhere! I can’t type breakfast into anything and not have avocado toast pop up. I wanted to hate it so much but the truth is….I love avocado. I really really love avocado. 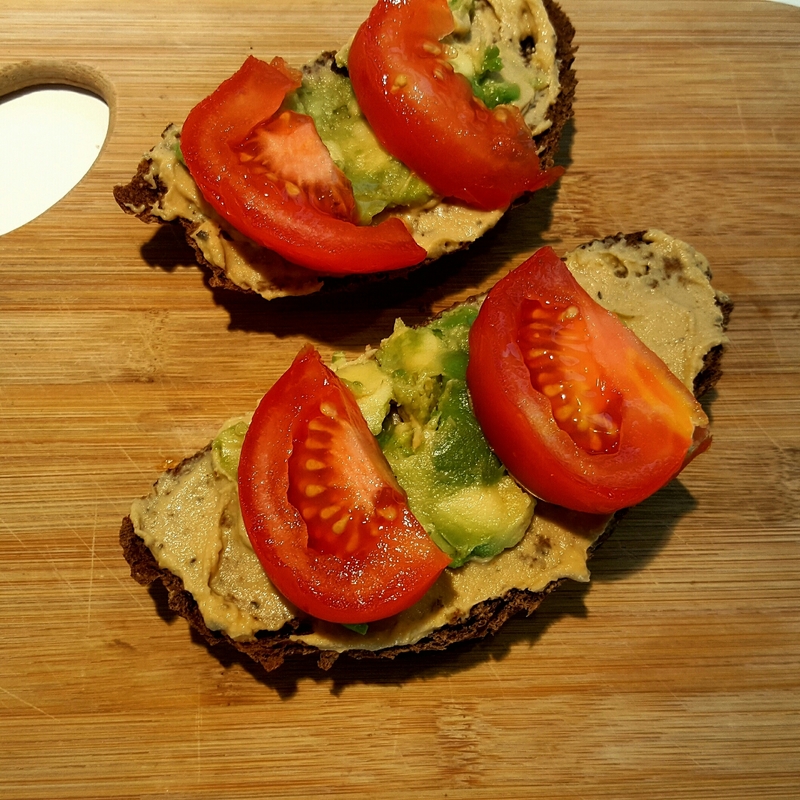 It’s delicious and rich and a source of healthy fats and indeed back when we were teenagers my sister and I would smush avocado between 2 slices of bread and have it just like that. So embrace the avocado my friends, embrace it. 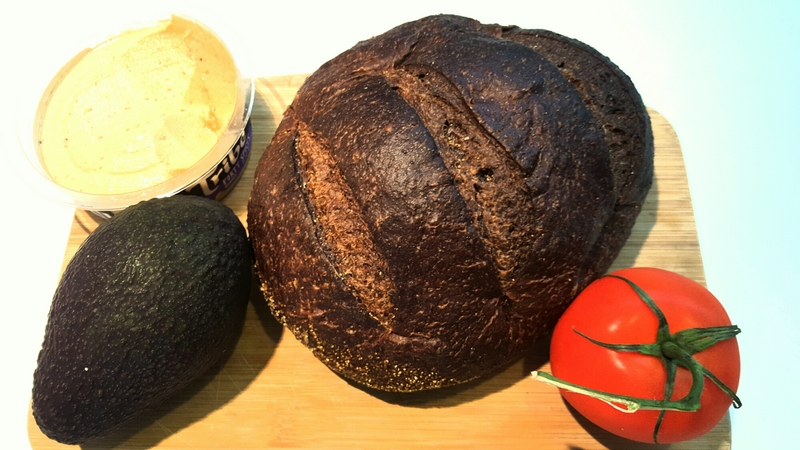 I chose to use pumpernickel bread because it is my all time favourite bread EVER. For anyone who isn’t sure pumpernickel is dark brown and looks as if it would be chocolate flavored but it isnt. It’s dense and a bit sour and very complex in taste. It goes beautifully with most flavours. Prep: Scoop out the flesh of the avocado and mash it with a fork, add a bit of black pepper to taste. I prefer mine to be lumpy but if you want it smoother you can give it a few seconds in a food processor /blender/vitamix/nutribullet/whatever. 2) Spread a thin layer of hummus over the bread in much the same way you would put mayonnaise on a sandwich. 3) Put approximately 1 tbsp of mashed avocado on top of the hummus layer. 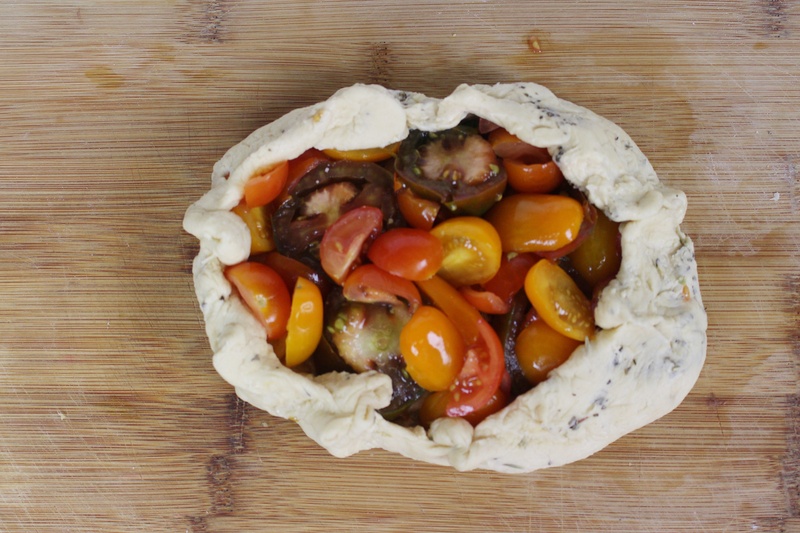 4) Cut a tomato slice in half and place over the avocado layer. Add a cup of coffee and you have a decadent tasty breakfast. Enjoy and have an awesome day! What does a po’ party girl do with 2 small tomatoes, a can of kernel corn, an inch of cheese, some flour, some butter and the sheer will to live. Due to some recent financial constraints not to mention a bit of laziness (I refuse to go to the supermarket) this was almost literally ALL there was to be found in my kitchen. So I had to either concoct something or starve alone in my apartment. I chose the former. So from my desperation came some delightful not to mention quick snacks that I think might serve as appetizers for a soirée sometime in the future. 1) Poured the flour into a bowl. 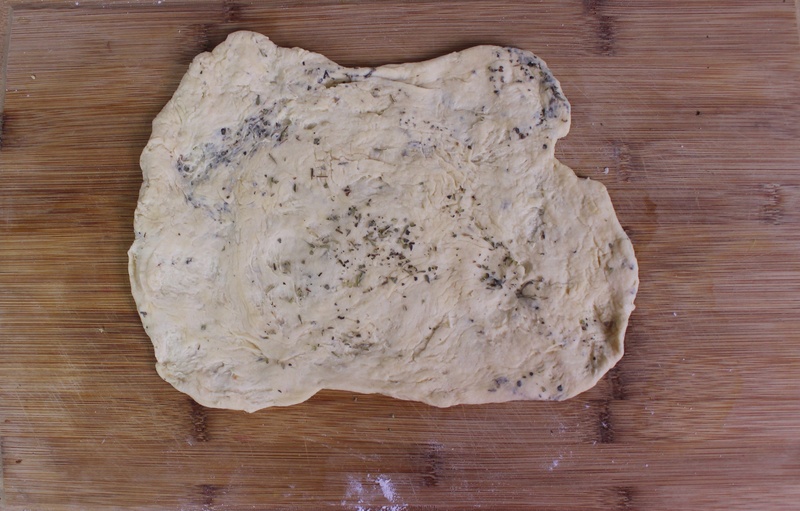 2) Add the butter (cold) and cut it into the flour. 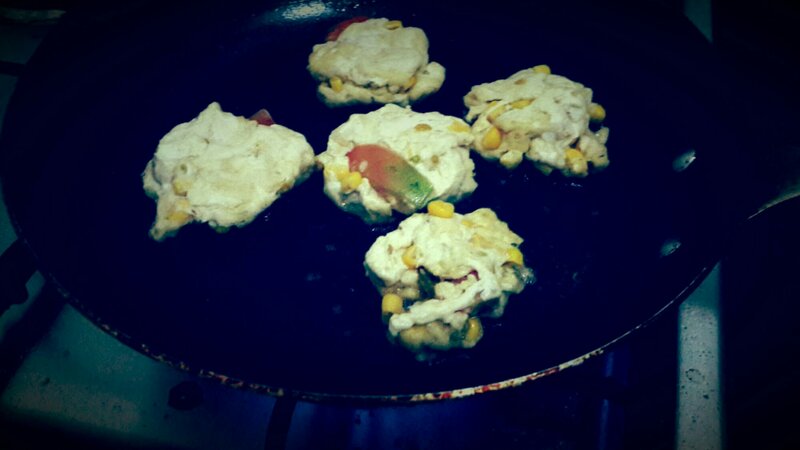 4) Add the corn tomato and cheese (grated) or whatever else is lying around your kitchen. Plate and serve with some ketchup and enjoy. This little recipe saved my hide. Maybe it may save someone else’s. Lol.